Title: A New Neurofunctional Approach to the Treatment of Amblyopia and Strabismus October 11-13, 2019 in Estes Park, Colorado This course will provide attendees with an understanding of amblyopia and strabismus including eccentric fixation and anomalous correspondence and effective evaluation techniques to determine the prognosis in amblyopia, exotropia and esotropia. Dr. Simonson will be teaching a course about stereopsis to the Oregon Study Group August 10-13, 2019. Research on vision therapy and the treatment of amblyopia. 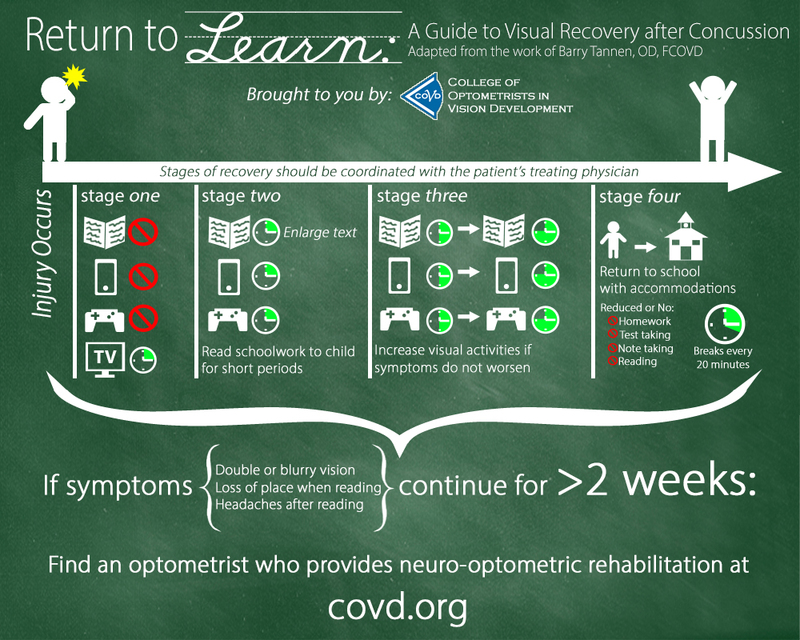 Visual problems often overlooked during initial treatment of a brain injury; Left untreated, can have serious consequences. 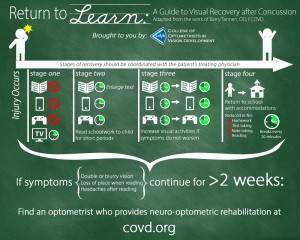 The College of Optometrists in Vision Development (COVD) and the Neuro Optometric Rehabilitation AssociationTM (NORA) issued a joint call-to-action to all healthcare professionals to consider the need for medical and/or functional optometric rehabilitation services for patients who have suffered a Traumatic Brain Injury (TBI), such as a concussion, or due to a medical condition such as stroke, tumor, aneurism, meningitis and cerebral palsy, or other neurological insults. We are adding to the Boulder Valley Vision Therapy team! If you are interested in training as a vision therapist or helping with administrative tasks, please apply. Additional information from the 2018 Colorado Vision Training Conference (password protected for attendees). Breaking through Boundaries….. Bridging science and common sense for better outcomes, improved clinical care, development of professional relationships and patient experience. Several visual conditions can result from PCS including difficulties with accommodation, convergence, eye movements and visual perceptual and cognitive delays. This panel will discus optometry’s role in helping improve outcomes with this population. A Novel Approach to Visual Information Processing Skills Optometrists and Vision Therapists are invited to the winter 2018 Study Group to be held Sunday, February 11th from 1-4:30 pm at Denver Vision Therapy. Doctor Simonson will be presenting a two-day course in Monterrey, Mexico about vision development in preschool-aged children. Order form for My Perfect Vision, My Double Vision, My Jumbled Vision, and My Mismatched Vision en Espanol: Mi Vision Doble, Mi Vision Confusa Learn more about Vision Therapy through simple stories and colorful illustrations. These are great books for children starting their Vision Therapy Journey. This course will discuss normal visual development and how to determine if vision skills are delayed. It will cover activities for building tracking, focusing, and eye teaming skills. We will discuss strategies for treating both amblyopia and strabismus in preschool aged children (2-5). Join Dr. Simonson for this informative class at the 2017 Colorado Vision Summit, this July in Denver, CO.
Mirror overlap, or "superimposition" activities allow us to build the skills to combine the information from each eye into one unified perception in the brain. Dr. Simonson will be presenting a hands-on course using this technique to build all levels of sensory fusion at the 2017 Colorado Vision Summit in July. Goal: accurate perception of details with one eye and the perception of the background with the other eye. Ready Writers Camp is designed to help elementary school aged kids to improve handwriting skills through practice of visual skills, motor skills, and body awareness in a fun activity-oriented setting. Join us on May 8th for a talk about Traumatic Brain Injury (TBI) and the role Optometrists play in prevention and treatment. This 1-hour continuing education event will be headed by our very own Optometrists: Dr. Simonson, OD, FCOVD and Dr. Talaber, OD, who will provide knowledge and confidence to diagnose and treat vision conditions related to TBI. Elizabeth Bahnsen, a Registered Dietitian Nutritionist, counsels for a wide variety of nutritional conditions and concerns, predominantly with children and families. The most common being: food allergies and sensitivities, ADHD/ADD, digestive issues, weight loss or gain, celiac and non-celiac gluten sensitivity, and picky or selective eaters. Additional course notes can be found here for the 2017 COVD Annual Meeting course: Prism, Prism, Prism! Welcome to the additional resource page for the 2016 Colorado Vision Training Conference. Please contact Jen with any questions or information to add to this page. Dr. Simonson just completed 100 hours of continuing education in San Diego, California. The 5-part Sanet Seminar included: Behavioral Vision Concepts, Evaluation and Training of Binocular Vision, Evaluation and Training of Visual Perception, Evaluation and Training of Strabismus and Amblyopia, and Evaluation and Training of Visual Problems Secondary to Acquired Brain Injury. Dr. Simonson and Cami Dowis, MEd, COVT presented "See to Achieve" at the Boulder Community Hospital on Thursday, May 19th. We greatly value our collaboration in care with the wonderful Occupational Therapists and Physical Therapists at BCH! Our doctors and staff value continued education and training to better help our patients. Dr. Simonson will be out of the office in 2016 to attend advanced training seminars taught by Bob Sanet, OD, FCOVD in San Diego, California. Dr. Simonson will be presenting Course #227 "Classroom Accommodations for Students with Visual Issues" at the 2016 Colorado Council International Reading Association meeting in Denver, CO. Happy Holidays from Boulder Valley VT! We have a lot of fun at our holiday party - trying out new vision therapy activities that require eye-hand coordination, symmetry, accuracy, balance, visual memory, creativity and sustained focus. Look for these new activities over the month of December 2015. Introducing OPTO - a Vision Therapy tool for iPad. Dr. Simonson presented a 45 minute general lecture "Advanced Amblyopia Treatment" on September 26, 2015. Doctors and Vision Therapists are invited to attend the joint Colorado and Wyoming Study Group meeting titled: "Binocular Approaches to Amblyopia Treatment." Many of our doctors and vision therapists will be attending the 24th Annual NORA Conference. This organization provides advanced training in the care and rehabilitation of patients with visual deficits as a result of traumatic brain injury and neurological problems. Dr. Jen Simonson's abstract was accepted for the poster display at the College of Optometrists in Vision Development Annual Meeting in Las Vegas. APPLICATION: This therapy training exercise compared visual performance when looking in a digital environment versus a traditional training environment. Dr. Simonson presented "Clinical Pearls for Treating Vertical Deviations" at the 44th COVD Anual Meeting, October 21-25, 2014. The XIX International Academic Congress of Optometry Functional was held in Aguacalientes, Mexico during the first week of September. For more information, please visit here. Governor Hickenlooper has declared August 2014 - Children's Vision and Learning Month in the State of Colorado! Colorado COVD Study Group Meeting: Sunday April 27th at 1:00 - discussion of the treatment of vision issues following brain injury. At Gerull Labs we decided to build modern vision therapy tools to help children and adults succeed in both. Our new iPad app and stereoscope, create a modern, effective clinic experience and an easy-to-use mobile home complement. Theme: Applying new technologies and techniques in your vision therapy program Please plan to come to the combined doctor and therapist study group (seminar type) on Sunday, February 23rd at 1:00 at Denver Vision Therapy. February 6-8, 2014 at the Denver Tech Center. 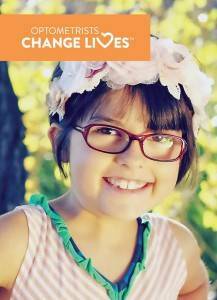 Our mission is to aid in developing children's vision and enhancing adult visual performance. Dr. Simonson’s article was published in Optometric Managment! Help patients who have functional vision problems achieve their goals by improving your communication. JENNIFER SIMONSON, O.D., F.C.O.V.D., BOULDER, COLO. Happy Holidays from Boulder Valley Vision Therapy! Is Your Child Ready for ‘How to Train Your Dragon’ 3D Movie? To find out more about 3D vision and optometric vision therapy, visit the website for the College of Optometrists in Vision Development, www.covd.org. As part of a Aalen University (Germany) and Pacific University (Oregon, USA) program, we will be hosting professionals in our office to learn pediatric and vision therapy testing and training techniques in April and May 2012. They will be gaining experience in working with children with developmental delays, autism, and traumatic brain injury. Our doctors and staff will be completing continuing education at the 2013 Colorado Vision Training Conference in Estes Park, CO September 20-22, 2013. This year's lecturers are Nancy Torgerson, OD, FCOVD and Sam Caldwell, COVT. The topic of the conference is "Vision and Patients with Atypical Neuro-development: Pearls of Optometry's Contribution to Solving the Puzzle"
"Vision and Patients with Atypical Neuro-development: Pearls of Optometry's Contribution to Solving the Puzzle"
Site for more information and the helpful links page. Our next Colorado COVD Study Group is focused on "Vision Development" and will be held Sunday, August 18, 2013 at 1:00. Join us at Northpark Vision Center located at 10359 Federal Boulevarde, Suite #100, Westminster, CO.
Our doctors and staff will be completing additional continuing education at the 2013 Colorado Vision Summit August 3-4, 2013 in Denver, CO.
To understand the signs and symptoms of Divergence Excess. To learn about treatment options to correct Divergence Excess. To develop a Divergence Excess vision therapy training program. Please join us for an informal discussion about amblyopia diagnosis, treatment, and results of the multiple Amlyopia Treatment Studies funded by the NIH. Meet us at Boulder Valley Vision Therapy (www.bouldervt.com for directions). April 28, 2013 at 1:00 p.m.
Boulder Valley Vision Therapy patients and staff proudly present Governor Hickenlooper's Vision and Learning Month Declaration August 2012. Dr. Simonson presented a hands-on training workshop titled "Premium Pre-testing" on Saturday, February 4, 2012. We also discussed the visual requirements for maintaining a driver's license in the state of Colorado and how to select appropriate testing during an examination based on driving complaints. The target audience for the program includes Occupational Therapists, Physical Therapists, Teachers, Early Childhood and Special Educators. Please contact Dr. Simonson if you are interested in attending. During the many pre and post Superbowl press interviews, Fitzgerald, explained that one of the keys to his success was having vision therapy as a child. He had a vision problem that was making it difficult to pay attention in school and his grandfather, Dr. Robert Johnson, a developmental optometrist in Chicago, Illinois, diagnosed the vision problem and the appropriate treatment. Diagnosis and Management of Visually-based Reading Disability presented by Barry Tannen, OD, FCOVD, FAAO at the 2011 Colorado Vision Training Conference. Dr. Simonson, Amy, Barbara, Becki, Gail, and Kayla will be receiving 15 hours of Continuing Education on September 23-26, 2011. Dr. Simonson provided 2 hours of Continuing Education to the Denver Metro Optometric Society regarding current strategies in the diagnosis, treatment, and co-management of Amblyopia. 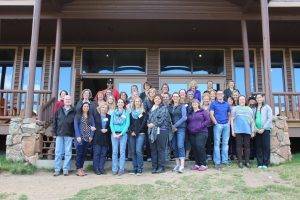 Our doctors and staff will be completing continuing education at the 2013 Colorado Vision Training Conference at Snow Mountain Ranch, CO November 1-3, 2013. This year's lecturer is Nancy Torgerson, OD, FCOVD. The topic of the conference is "Vision and Patients with Atypical Neuro-development: Pearls of Optometry's Contribution to Solving the Puzzle"
Please see the (1) Guidelines for Driving Recommendations compiled by the Colorado Optometric Association Low Vision Committee, (2) Questions and Answers from the Lecture and (3) the Lecture Handout. The presentation was given by Dr. Simonson during the 2011 Colorado Vision Summit held in Denver, CO in July. Dr. Simonson was a guest speaker for the "Brain Storm" event at the Boulder Valley School District. 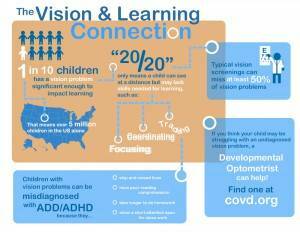 Thank you for your questions about vision development, learning, and vision therapy! E-mail Dr. Simonson at bouldervt@yahoo.com with any additional questions. Dr. Simonson, Dr. Dudley, Barbara and Patty attended the 2010 Colorado Vision Training Conference in Estes Park, CO on September 24-26th. This year's topic: From Mirror Neurons to Embodied Cognition: A Practical Course For Developing Effective Visual Thinking skills presented by Carl G. Hillier, OD FCOVD. Dr. Susan Barry, neuroscientist, professor and author of Fixing My Gaze. Dr. Barry, recently interviewed by Terry Gross on NPR's Fresh Air program, is famous for gaining 3D vision as an adult and sharing her experiences in her book, which was just released in paperback. Dr. Jen Simonson and Dr. Gina Gabriel will be offering a Visual Training Course in Colorado Springs on March 15, 2010. Pictures of Ashley's school project: When Flat Stanley visited Colorado, he received a vision examination and learned some eye exercises. As a testament to her ability to apply herself, Dr. Temple Grandin describes the impact of her vision in her book, Thinking in Pictures, and Other Reports of My Life with Autism. Sports Vision Training is the Topic of the 2009 Colorado Vision Training Conference. The 39th Annual meeting of the International organization, the College of Optometrists in Vision Development is being held in Colorado October 13-17th. Thank you for coming to our website for more information about vision therapy. The COVD annual meeting was held in Denver, CO October 12-17, 2009. All of our staff and doctors attended this educational conference and trade show. Our team of certified optometric vision therapists and doctors. Our office will be hosting the University of Colorado Pre-Optometry club meeting on Monday, April 9, 2012 at 7:00 p.m.
Our staff will completing continuing education at the 2009 Annual Meeting of the College of Optometrists in Vision Development. Vision and Learning: Why Seeing is Achieving was presented by Dr. Jen Simonson and Dr. Gina Gabriel (from Eagle Eye Vision in Longmont, CO) to the Estes Park School District Teachers on August 18, 2009. Jen Simonson, OD, FCOVD and Gina Gabriel, OD, MS will be presenting a program to the educators at the Estes Park School District on Tuesday, August 18th. Doctor Simonson spoke at the Estes Park School District on April 2, 2009 at 9:00 a.m. about Vision and Learning. Dr. Simonson is part of the non-profit Vision and Learning Forum of Colorado. Contact the Vision and Learning Forum if you would like to schedule an free informational talk for your school or PTA. Mount Holyoke professor Susan Barry, a neurobiologist, writes an inspirational story about her journey into "Seeing in Three Dimensions" at the age of 48 after completing vision therapy. Cross-eyed since infancy, she had three surgeries to correct the misalignment of her eyes, but never was able to see depth perception until vision therapy. Installation of our new cabinetry will begin at 7:00 am on January 28th. Watch our office transform in 2009! Please Pardon our Dust . . . Looking for some great gifts for the holidays? Here are our 2008 recommended toys and games for vision development! We viewed the splendor of the Rocky Mountains . . . out the windows of the lecture hall. Although we had planned on 14 hours of lecture on neurology, research, and vision therapy techniques, Dr. Bob Sanet was so interesting, we talked him into speaking an hour more. Dr. Simonson values education and training for her staff. Our vision therapists and doctors will be attending the Colorado Vision Training Conference with lecturer Bob Sanet, OD, FCOVD. Dr. Simonson and Krystal are volunteering at the Colorado State Special Olympics. Dr. Simonson joined the practice in February 2008.